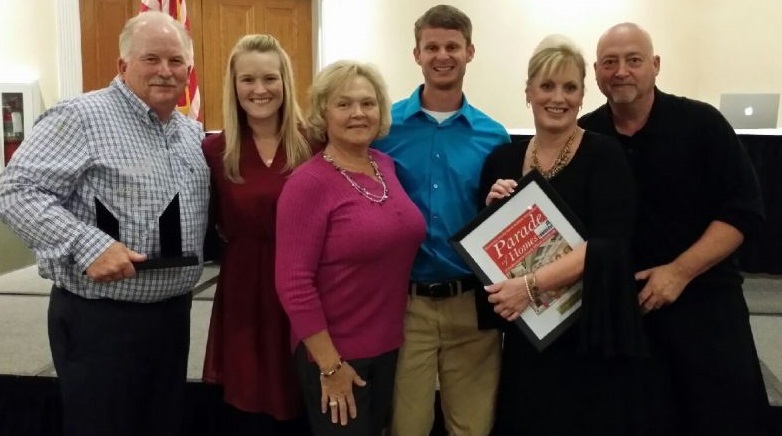 What a great night our Team had at the Brunswick County Parade of Homes Banquet! We had 2 Entries and walked away with 2 Wins! Entry #47 at Thistle Golf Club and Estates won its Category for Single Family Homes and Entry #46 won for Interior Design (Designed by Lucy Emory Hendricks of Legacy Interiors)! We would like to thank all of our Vendors, Sub Contractors, and Employees for all their hard work on both of these Homes – in addition to all of our other Projects – as we could not do what we do without your expertise! We would also like to thank the Team at DGH Thistle, LLC for giving us this opportunity! Lastly, we would like to thank the Brunswick County Home Builders Association for hosting the Parade of Homes and for everything else that they do to better our Community!